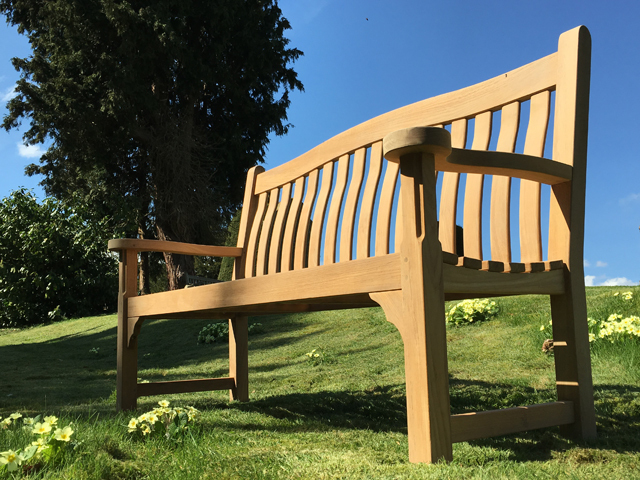 The robust construction of Oxford teak benches enable them to stand the test of time making them ideal for memorial purposes. 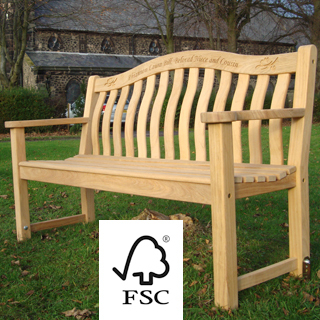 We have designed the Oxford bench with our CNC engraving in mind. 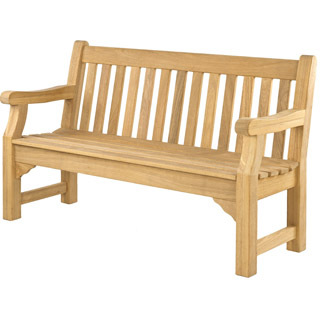 This bench can be engraved in 2 places: the bench back (curved top rail), the bench seat (front rail). 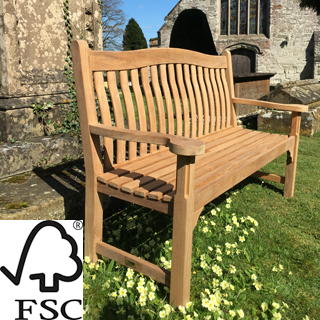 The feminine design features flat scalloped arms, high contoured back, wide curved back top rail and shaped seat for extra comfort. 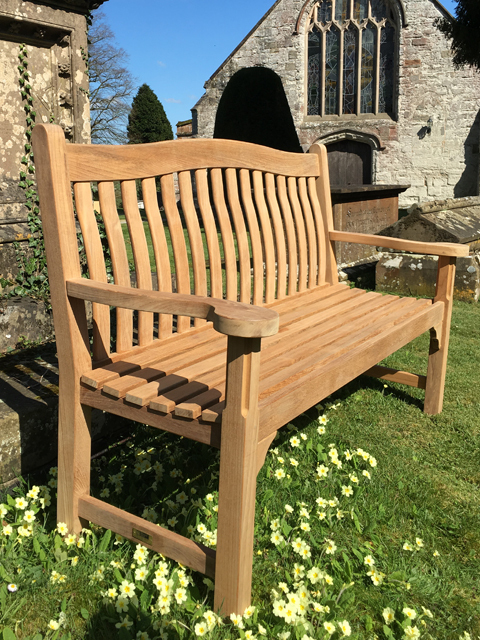 The jointing method is mortice and tenon assembled with teak dowels. 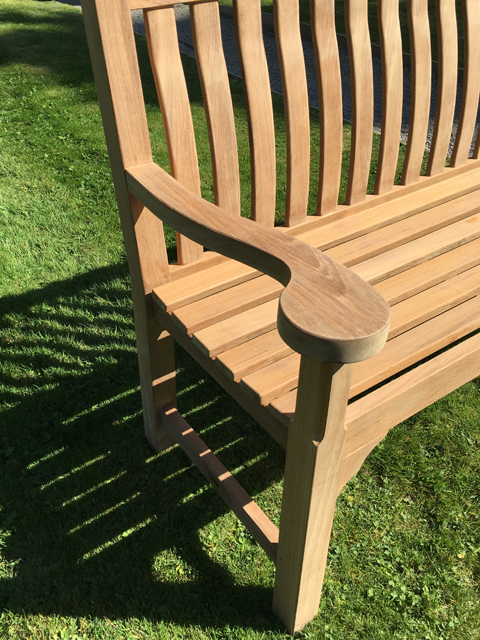 These joints use the draw bore method, where on insertion of the dowel the joint is pulled tight together. 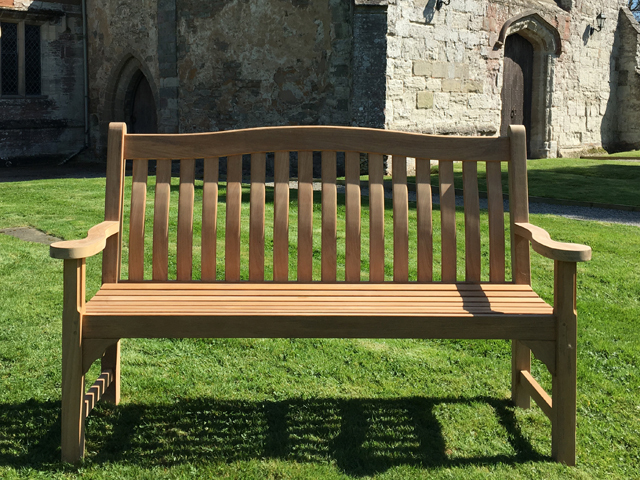 These extra strong assembly joints do not require glue, however each bench comes with exclusive japanese glue if you so require to use it. 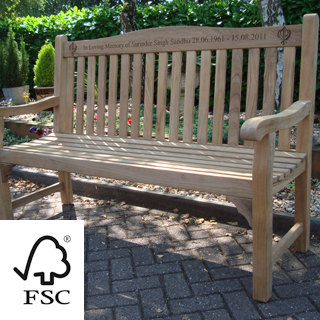 Bench back, top rail 9cm wide, flat engraving width 7.45cm. 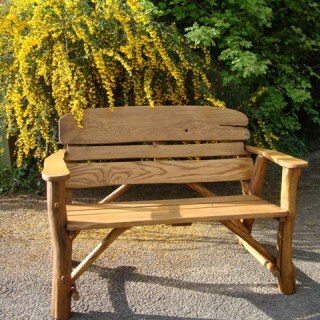 This bench can accommodate 2 lines of engraving on the top rail. 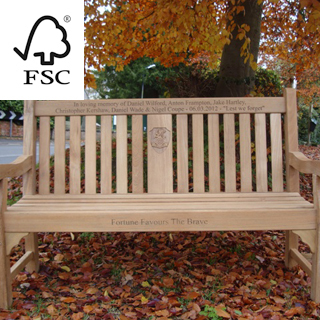 The maximum number of carved letters is 50 characters on the first line and 50 characters on the second line (including spaces) of the top rail. 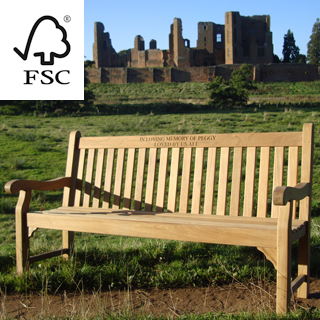 This bench can also accommodate 2 lines of text, 50 characters per line, on the bench seat front rail.